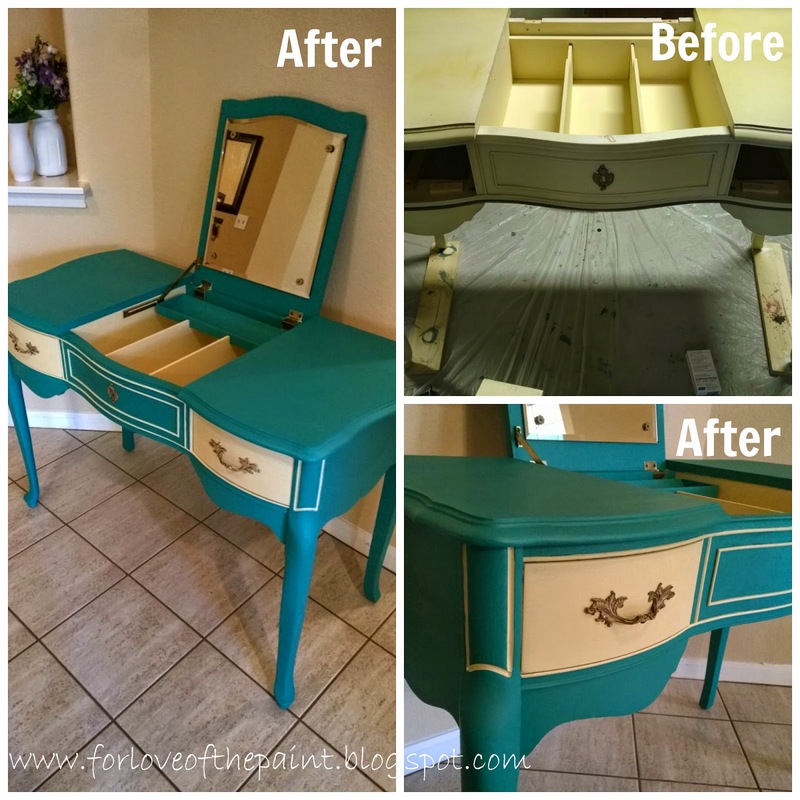 I saw an idea for a dresser in Annie Sloan Florence and Cream chalk paint, heavily distressed. That was the inspiration for this color combination.. but this vanity turned out precisely 0% like that dresser. But who cares? Not me! It's lovely, and totally mod-throwback with the bold color piping. Besides, this vanity really, really needed some love :) .